FRIDAY, March 25 (HealthDay News) -- Electrical stimulation of the brain could help stroke patients avoid potentially dangerous problems with swallowing, preliminary research indicates. The treatment has only been tested in a small number of patients and needs further exploration. 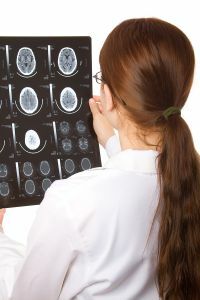 Still, the findings published online March 24 in the journal Stroke are "encouraging," said Dr. Larry B. Goldstein, director of the Duke Stroke Center at Duke University Medical Center. An estimated 795,000 people suffer a stroke each year in the United States, and most of them survive, according to the U.S. Centers for Disease Control and Prevention. But many lose some of their ability to swallow, a problem known as dysphagia. "Post-stroke swallowing difficulty is an important problem. Up to half of stroke patients studied have dysfunctional swallowing, and up to a third of these patients aspirate, swallowing material that enters the windpipe rather than going into the stomach," Goldstein explained. "This can cause pneumonia, which can prolong hospitalization, interfere with recovery or increase the chances of dying." In the new study, researchers mildly stimulated the brains of patients through electrodes placed on the scalp. The idea is to boost activity in certain parts of the brain. Patients who received the treatment had an easier time swallowing than patients who didn't. Eighty-six percent of patients who received the treatment improved their swallowing by at least two points on a seven-point scale, while only 43 percent of other patients did. The 14 patients in the study had all suffered strokes between one and seven days earlier, and were being treated at Beth Israel Deaconess Medical Center in Boston. "Further studies are warranted to refine this promising intervention by exploring effects of stimulation parameters, frequency of stimulation, and timing of the intervention in improving swallowing functions," the researchers wrote. Research barrier One of the medical challenges with diseases of the brain is getting any treatment to cross the blood-brain barrier. FRUSTRATION echoes in Connor Stewart's voice. Because every word is a struggle for the 17-year-old, who is sharp and extremely bright. A bone marrow transplant to save him from childhood leukaemia resulted in a brain injury which means he must fight to get his words out. But Connor knows he is not alone and that even his limited skills make him luckier than some who cannot speak at all. Which is why he has become an ambassador for the Talk for Scotland campaign, representing thousands who cannot communicate properly. He said: "Being unable to communicate can make you feel very isolated but when I went to Civic Participation Network meetings, I found people with similar problems." Some of them had suffered throat cancer, strokes or brain haemorrhages. Others had MS, Parkinson's or Aphasia. But they all had one thing in common - they found it difficult to express what they wanted to say. New research uses imaging technology to assess higher-level cognitive functioning in severely brain-injured patients. 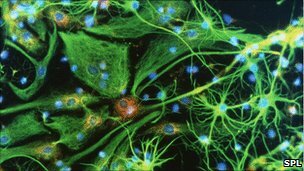 The study provides a window into consciousness — but the view it presents is one that is blurred in fascinating ways, say researchers at Weill Cornell Medical College. Two years ago, travelling through Vietnam on a family holiday, Antonio (Toni) Ianella suffered a stroke. He was 38 with three young children and spent three days in intensive care before being moved to a ward and flown home to Melbourne 11 days later. His stroke was the result of an undiagnosed AVM (arteriovenous malformation) and occurred as a bleed on his brain stem. He is lucky to be alive: “I was told only one in five people survive a bleed in the base of their brain,” Toni says. Back in Melbourne Toni spent time at the Royal Melbourne Hospital and Sunshine Hospital in intensive three-month rehabilitation. The former construction site project manager found he had to reassess the life he had led. With some cognitive, hearing, speech and mobility changes post-stroke the construction site job was no longer viable. For Toni that was music. He had always written and played songs and had a string of projects that he dabbled in – all around music. No longer able to play an instrument, he turned his energy to writing songs and forming a band – BoyCriedWolf. “I had to think about the things I love and that has always been music,” he says. The band has been successful – winning a Battle of the Bands competition last year, the small winnings of which has allowed an album to be recorded – and is not the only project Toni works on in his modest home recording studio. To hear Toni’s music click here.